A former Indiana doctor who used his own sperm to impregnate patients without their knowledge pleaded guilty to obstruction in the case Thursday and received no jail time. “We had selected for a tall blonde swedish male, instead we got a short jewish guy!” screamed one disgruntled mom. FOX59 first broke the story in 2015. A woman who thought she was an only child approached our Angela Ganote after learning she had at least eight biological brothers and sisters. 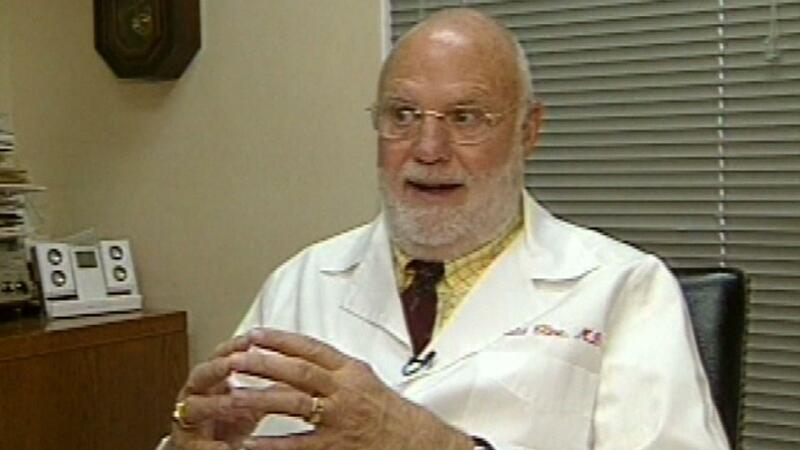 In court this afternoon, Dr. Donald Cline, 79, pleaded guilty to two counts of obstruction of justice. He was sentenced to 365 days, all of which were suspended. This means he will serve no jail time and will not be on probation. The maximum sentencing for two counts of obstruction of justice is about five years. Two of his biological children delivered victim impact statements. They were interrupted multiple times by the defense arguing that their statements were not relevant to the charges of obstruction. One of his biological daughters, Jacoba Ballard, told the court Cline had no consideration for anyone but himself. She repeatedly stated that he lied. Ballard also told FOX59 that Cline threatened her after filing complaints against him to the attorney general’s office. Another one of Cline’s daughters took the stand as well. She told the court she’s spent “countless hours devoted to finding the truth.” In an emotional statement, the woman told the court she has lost all sense of identity. A psychologist also took the stand to describe what he considered to be Cline’s mental state. The doctor noted that Cline has “adjustment disorder” and displays signs of depression because of the charges. Next Next post: Paul Ryan OUT!